1.中华人民共和国国务院总理李克强同欧洲理事会主席唐纳德·图斯克、欧盟委员会主席让-克洛德·容克4月9日在布鲁塞尔举行第二十一次中国－欧盟领导人会晤并发表以下声明。 1. H.E. 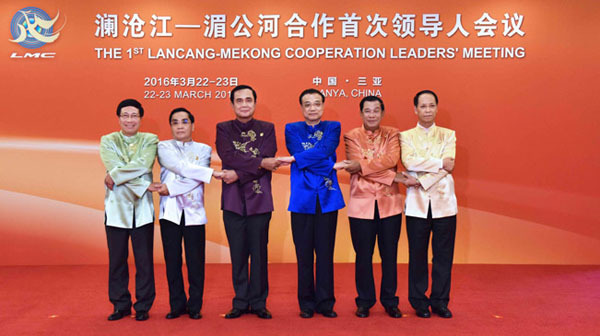 Li Keqiang, Premier of the State Council of the People's Republic of China, H.E. Donald Tusk, President of the European Council, and H.E. Jean-Claude Juncker, President of the European Commission, met in Brussels today for the 21st China-EU Summit and issued the following statement. 2.中国和欧盟重申中欧全面战略伙伴关系的活力，愿为实现和平、繁荣和可持续发展共同努力，承诺支持多边主义，尊重以联合国为核心的国际法和国际关系基本准则。双方承诺维护《联合国宪章》、国际法以及联合国三大支柱，即和平与安全、发展和人权。 2. China and the EU reaffirm the strength of their Comprehensive Strategic Partnership, their resolve to work together for peace, prosperity and sustainable development and their commitment to multilateralism, and respect for international law and for fundamental norms governing international relations, with the United Nations (UN) at its core. The two sides commit to uphold the UN Charter and international law, and all three pillars of the UN system, namely peace and security, development and human rights. 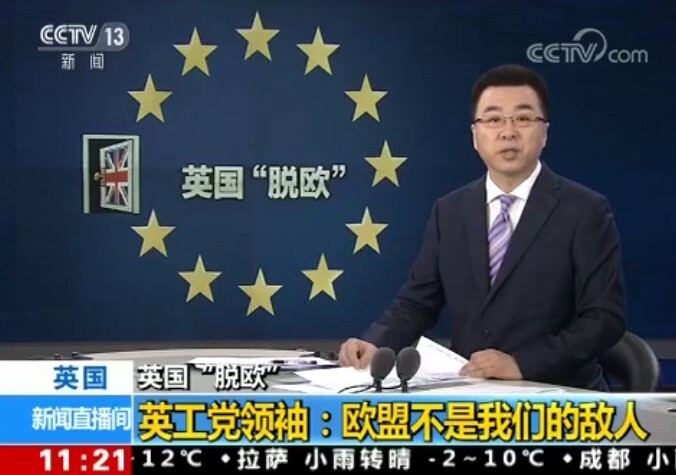 欧方重申坚持一个中国政策。 The EU reaffirmed its one-China policy. 3.双方领导人重申在相互尊重、互信、平等和互利原则的基础上，通过全面落实《中欧合作2020战略规划》，致力于深化中欧和平、增长、改革、文明四大伙伴关系。中国和欧盟承诺加强合作，特别是在现有的双边对话框架内。中欧欢迎不久前举行的新一轮中欧高级别战略对话。为进一步扩大和深化2020年后的交流与合作，中国和欧盟将在下次中国－欧盟领导人会晤之前制定一份新的合作议程。 3. The leaders reaffirmed their commitment to deepening their partnership for peace, growth, reform and civilisation based on the principles of mutual respect, trust, equality and mutual benefit, by comprehensively implementing the China-EU 2020 Strategic Agenda for Cooperation. China and the EU commit to strengthen cooperation, notably in the framework of their ongoing bilateral Dialogues. Both sides welcome the recently held High-Level Strategic Dialogue. In order to further expand and deepen exchanges and cooperation beyond 2020, China and the EU will adopt a new cooperation agenda by the next China-EU Summit. 4.中国和欧盟致力于在开放、非歧视、公平竞争、透明和互利基础上打造双方经贸关系。双方承诺2019年将在谈判中，特别是投资自由化承诺方面，取得结束谈判所必需的决定性进展，以便在2020年达成高水平的中欧投资协定。协定的高水平将体现在实质性改善市场准入、消除影响外国投资者的歧视性要求和做法、建立平衡的投资保护框架以及纳入投资和可持续发展方面的条款。双方同意建立高层沟通机制负责持续督导谈判，并于今年年底前向领导人汇报进展。 4. China and the EU commit to build their economic relationship on openness, non-discrimination, and fair competition, ensuring a level playing field, transparency, and based on mutual benefits. The two sides commit to achieve in the course of 2019 the decisive progress required, notably with regard to the liberalisation commitments, for the conclusion of an ambitious China-EU Comprehensive Investment Agreement in 2020. The high level of ambition will be reflected in substantially improved market access, the elimination of discriminatory requirements and practices affecting foreign investors, the establishment of a balanced investment protection framework and the inclusion of provisions on investment and sustainable development. Both sides agree to establish a political mechanism to continuously monitor the progress in the negotiations and to report to leaders by the end of the year on the progress made. 5.中国和欧盟承诺在双边贸易和投资中确保平等、互利合作。双方重申愿加强双边经济合作、贸易及投资，愿相互给予更加广泛、更为便利、非歧视的市场准入。为此，双方将加大努力，为双方确认的一些关键壁垒寻找双方认同的解决方案，并在下一次中欧领导人会晤进行盘点。在此背景下，双方将尽快举行会议并加快工作，通过既有渠道取得具体成果。双方重申坚持国际科学标准的重要性。 5. China and the EU commit to ensure equitable and mutually beneficial cooperation in bilateral trade and investment. They reiterate their willingness to enhance bilateral economic cooperation, trade and investment and to provide each other with broader and more facilitated, non-discriminatory market access. With this in mind, China and the EU will intensify work towards finding mutually agreeable solutions to a number of key barriers as identified by both parties, with a stocktaking taking place at the next China-EU Summit. Against this background, the two sides will meet as soon as possible and work expeditiously towards concrete progress through existing channels. The two sides reaffirmed the importance of adhering to international scientific standards. 双方同意促进双边农产品和食品贸易，同时尊重有关卫生和植物卫生检疫事项的国际标准，特别是分区原则。双方同意探讨基于世界动物卫生组织（OIE）分析，将世界动物卫生组织分区原则适用于贸易。双方致力于以透明和可预测的方式扩大互供农产品和食品的市场准入。双方在低风险食品的官方认证问题上将寻求国际标准制定机构的指导。 Both sides agree to promote their bilateral trade in agri-food products whilst respecting international standards on sanitary and phytosanitary matters in particular the zoning principle. The two sides agreed to explore applying the World Organisation for Animal Health (OIE) zoning principle to trade, based on OIE analysis. Both sides are committed to expanding mutual market access for food and agricultural products in a transparent and predictable manner. Both sides will seek guidance of international standard setting bodies on the question of official certification for low risk food products. 6.欧盟支持中国加快加入世贸组织《政府采购协定》进展，中方愿以富有雄心的方式改进其出价。中方将积极并尽快推进有关工作。 6. The EU supports China to seek faster progress towards joining the WTO Government Procurement Agreement, and China is willing to improve its offer in an ambitious manner. China will actively push related work forward in an expeditious manner. 双方强调在知识产权保护和执法方面遵循国际标准的重要性。双方将继续努力在恶意注册知识产权权利、知识产权执法和商业秘密等共同商定的优先领域取得实质性成果。双方致力于打造创作者、发明人和艺术家可根据市场条款许可其权利并在法院和相关机构中有效执行这些权利的法律环境。 Both sides underline the importance of following international standards in intellectual property protection and enforcement. They will continue to work towards tangible results in the mutually agreed priority areas such as bad faith registrations of intellectual property rights, enforcement and trade secrets. They commit to ensure a legal environment in which creators, inventors and artists can license their rights on market terms and effectively enforce these rights before courts and relevant authorities. 双方注意到地理标志协定谈判最近取得的进展，欢迎双方就文本正文及保护双方大部分地理标志名称初步达成一致。双方承诺，为在2019年年底前正式结束谈判，将在未来数月继续合作，以解决剩余问题，特别是与剩余地理标志有关的问题。 China and the EU take note of recent progress of the negotiations of the China-EU Agreement on the Cooperation on, and Protection of, Geographical Indications (GI) and welcome the fact that provisional agreement has been reached on the text of the agreement and on protection for the majority of the GI names of each side. China and the EU commit to work together in the coming months to resolve the remaining issues, in particular in relation to the outstanding GI, which is necessary in order to be able to formally conclude the negotiations in 2019. 中国和欧盟期待早日启动关于深化葡萄酒和烈酒领域合作的联合可行性研究。 China and the EU look forward to the early launch of the joint feasibility study on deepening cooperation in the wines and spirits sector. 7.双方欢迎签署《中欧竞争政策对话框架协议》和《关于在公平竞争审查制度和国家援助控制制度领域建立对话机制的谅解备忘录》，并将继续加强务实合作，为包括中欧双方企业在内的所有国家的经营者营造市场公平竞争环境，促进双边和全球经贸关系健康发展。 7. China and the EU welcome the signing of of the Terms of Reference of the China-EU Competition Policy Dialogue and the Memorandum of Understanding on a dialogue in the area of the state aid control regime and the Fair Competition Review System, and will continue to enhance practical cooperation, so as to foster fair competition in the market for operators of all countries, including the companies of the two sides, and promote the sound growth of the bilateral and global economic and trade relations. 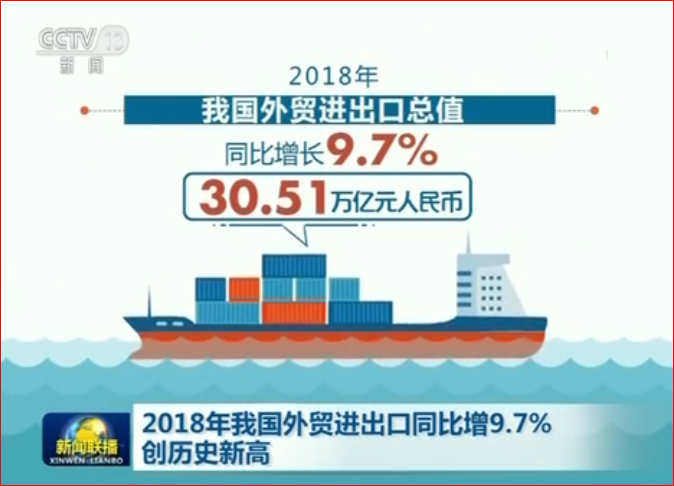 8.中国和欧盟正积极努力，以尽快签署《中欧民用航空安全协定》和《中欧关于航班若干方面的协定》。双方欢迎举办第八次中欧能源对话并签署《关于落实中欧能源合作联合声明》，并支持新建立的中欧能源合作平台的启动实施。双方承诺积极推进中欧人员往来和移民领域对话并尽快完成关于签证便利化协议和打击非法移民合作协议的平行谈判。 8. China and the EU are actively working towards signing the China-EU Civil Aviation Safety Agreement and the Agreement on Certain Aspects of Air Services as soon as possible. China and the EU welcome the holding of the 8th China-EU Energy Dialogue and signing of the Joint Statement on the Implementation of China-EU Cooperation on Energy and endorse the start of implementation of the newly established China-EU Energy Cooperation Platform. China and the EU commit to actively engage in the China-EU Mobility and Migration Dialogue and to swiftly conclude the parallel negotiations on the agreements on visa facilitation and on cooperation in combating illegal migration. 9.中国和欧盟重申致力于落实2030可持续发展议程和《亚的斯亚贝巴行动议程》。双方将就国际发展合作加强交流，探讨与其他伙伴国家合作，共同努力推动落实2030可持续发展议程。 9. China and the EU reiterate their commitment to the implementation of the 2030 Agenda on Sustainable Development and the Addis Ababa Action Agenda. Both sides will increase their exchanges on international development cooperation and explore cooperation with other partner countries in a joint effort to work for the implementation of the 2030 Agenda on Sustainable Development. 10.中国和欧盟重申所有人权都是普遍的、不可分割的、相互依存的、相互关联的。双方欢迎2019年4月1日至2日举行的经常性中欧人权对话，同意在平等和相互尊重的基础上开展双边和国际层面的人权交流，包括在联合国人权机制下的交流。双方将探讨未来在联合国框架等领域加强合作。 10. China and the EU reaffirm that all human rights are universal, indivisible, interdependent and interrelated. Both sides welcome the holding of their regular Human Rights Dialogue on 1-2 April 2019 and will continue to conduct exchanges on human rights at the bilateral and international levels on the basis of equality and mutual respect, including at the UN human rights mechanisms. China and the EU will explore areas for enhanced cooperation in the future, in particular in UN fora. 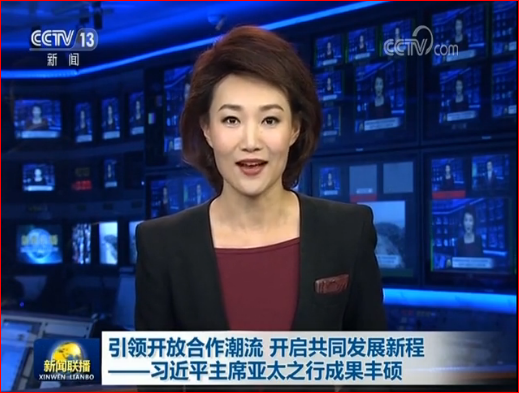 11.中欧网络工作组旨在维护开放、安全、稳定、可接入、和平的信息通信技术环境，双方欢迎工作组正在进行的讨论，同意继续加强交流合作。双方忆及，国际法尤其是《联合国宪章》适用于并且对维护网络空间的和平稳定至关重要。双方努力推动在联合国框架内制定和实施国际上接受的网络空间负责任的国家行为准则。双方将在中欧网络工作组下加强打击网络空间恶意活动的合作，包括知识产权保护的合作。 11. The two sides welcomed the ongoing discussions and agreed to continue to strengthen their exchanges and cooperation under the China-EU Cyber Taskforce aimed at upholding an open, secure, stable, accessible and peaceful information and communications technology (ICT) environment. They recall that international law, and in particular the Charter of the United Nations, is applicable and is essential to maintaining peace and stability in cyberspace.They work to promote the development and implementation, within the framework of the UN, of internationally accepted norms of responsible state behaviour in cyberspace. They will strengthen their cooperation under the China-EU Cyber Taskforce against malicious activities in cyberspace, including on the protection of intellectual property. 5G将为未来经济社会发展提供基础性支撑。双方欢迎在2015年中欧5G联合声明基础上的对话合作机制取得的进展和进一步交流，包括产业界之间开展技术合作。 5G network will provide the basic backbone for future economic and social development. China and the EU welcome progress and further exchanges in the China-EU dialogue and working mechanism on 5G based on the 5G Joint Declaration of 2015, including on technological cooperation between respective business communities. 12.双方欢迎成功举行第四次中欧创新合作对话。双方确认展期《中欧科技合作协定》的意愿。 12. China and the EU welcome the successful holding of the 4th China-EU Innovation Cooperation Dialogue. The two sides also confirmed their intention to renew the China-EU Science and Technology Cooperation Agreement. 双方致力于通过中欧高级别人文交流对话机制加强在教育、旅游、研究人员往来、文化、媒体、青年、体育领域的交流与合作。双方期待中欧高级别人文交流对话机制第五次会议在布鲁塞尔举行。双方欢迎2018年中欧旅游年取得积极成果，承诺继续就旅游产业和人员交流领域加强合作。 The two sides committed to further strengthen exchanges and cooperation in the fields of education, tourism, mobility of researchers, culture, media, youth, and sport through the High-level People-to-People Dialogue. China and the EU look forward to hold the 5th China-EU High-level People-to-People Dialogue in Brussels. They welcomed the successful outcomes of the 2018 China-EU Tourism Year and committed to further facilitate cooperation between their tourism industries and two-way people-to-people exchanges. 13.中国和欧盟认识到有责任在支持开放、平衡、包容的全球经济政策发挥示范作用，这将惠及各方并促进贸易投资。双方坚定支持以规则为基础、以世界贸易组织为核心的多边贸易体制，反对单边主义和保护主义，并致力于遵守世贸组织规则。 13. China and the EU recognise their responsibility to lead by example, pursue policies that support an open, balanced, and inclusive global economy which is beneficial to all, and encourage trade and investment. China and the EU firmly support the rules-based multilateral trading system with the WTO at its core, fight against unilateralism and protectionism, and commit to complying with WTO rules. 双方重申共同致力于世贸组织改革合作，以确保其相关性并能应对全球贸易挑战。为此，双方将在中欧世贸组织改革联合工作组已有工作基础上，加紧旨在加强产业补贴国际规则的讨论。双方也将继续就其他获得授权的世贸组织议题交换意见。 The two sides reaffirm their joint commitment to co-operate on WTO reform to ensure its continued relevance and allow it to address global trade challenges. To this end, both sides will intensify the discussions with the aim of strengthening international rules on industrial subsidies, building on the work developed in the China-EU Joint Working Group on WTO reform. Both sides will also continue to exchange views on other mandated WTO issues. 双方欢迎中欧世贸组织改革联合工作组迄今开展的工作，同意继续努力解决世贸组织上诉机构的危机并在其他领域凝聚共识。 The two sides welcome the work so far in the China-EU Joint Working Group on WTO reform. Both sides also agreed to continue working to resolve the crisis in the WTO Appellate Body and build convergence on other areas of WTO reform. 双方同意不得强制转让技术。 Both sides agree that there should not be forced transfer of technology. 双方支持联合国国际贸易法委员会关于投资争端解决机制改革的工作，并将配合参与这一进程。 The two sides support the work of the United Nations Commission on International Trade Law on reform of the investment dispute settlement system and will engage cooperatively in that process. 14.双方重申支持G20作为国际经济金融合作的主要论坛继续发挥积极作用，同意落实G20承诺，支持强劲、可持续、平衡和包容性增长。双方同意本着伙伴精神及协商一致原则，推动G20为维护多边主义、改善全球经济治理和促进全球经济增长作出更大贡献。双方呼吁所有G20成员加强沟通合作，维护自由、开放、非歧视的全球贸易市场。双方愿共同推动大阪峰会取得积极成果。 14. China and the EU reaffirm their support to the G20 in continuing to play its active role as the premier forum in international economic and financial cooperation, and agree to implement G20 commitments to support strong, sustainable, balanced and inclusive growth. Both sides agree to promote the G20, in the spirit of partnership and the principle of consensus, to make more contributions in upholding multilateralism, improving global economic governance and boosting global economic growth. Both sides call on all G20 members to safeguard a free, open and non-discriminatory global trade through reinforced communication and cooperation. The two sides will work towards a positive and results-oriented G20 Osaka Summit. 双方一致认为钢铁产能过剩是全球挑战，需要共同应对。双方同意在钢铁产能过剩全球论坛上保持沟通，期待在2019年6月前形成一份实质性报告。 Both sides agree that steel overcapacity is a global challenge that requires collective responses. To this end, China and the EU agree to maintain communication in the Global Forum on Steel Excess Capacity. Both sides look forward to a substantive report by June 2019. 双方将继续推动国际货币和金融体系改革进程，最迟在2019年年会完成国际货币基金组织第十五轮份额总检查。 China and the EU will continue to actively promote the reform process of the international monetary and financial system and to complete, at the latest at the 2019 Annual Meetings, the 15th General Review of Quotas of the International Monetary Fund. 15.双方同意加强努力，在出口信贷国际工作组内为官方支持的出口信贷制定一套新的指导方针。 15. China and the EU agree to intensify the efforts to develop a new set of guidelines for government supported export credits within the International Working Group on Export Credits. 16.双方强调落实《巴黎协定》和《蒙特利尔议定书》的坚定承诺，并鉴于采取国内和国际行动为有效进行全球应对气候变化威胁的紧迫性，在2018年《中欧领导人气候变化和清洁能源联合声明》的基础上进一步加强合作。双方忆及碳价和化石燃料补贴改革是这一方面的关键步骤。在此背景下，双方将加强绿色金融合作，以引导民间资本流向更具环境可持续性的经济。双方将共同努力推动2019年9月联合国可持续发展峰会及联合国气候行动峰会取得成功。 16. China and the EU underline their strong commitment to implement the Paris Agreement and the Montreal Protocol, and, given the urgency to take domestic and international action to effectively provide a global response to the threat of climate change, to further intensify their cooperation on the basis of the 2018 joint Leaders' Statement on Climate Change and Clean Energy. China and the EU recall that carbon pricing and fossil fuel subsidy reform are key steps in this regard. In this context, China and the EU will reinforce their cooperation on green finance in order to harness private capital flows towards a more environmentally sustainable economy. Both sides will work together for a successful outcome of the UN's Sustainable Development Goals and Climate Action Summits in September 2019. 双方强调就清洁能源转型展现决心、在全球环境议程上发挥更多引领作用的重要性。双方将积极落实《循环经济合作谅解备忘录》，促进双方产业务实合作。 China and the EU stress the importance of showing resolve on the clean energy transition and of assuming greater leadership on the global environmental agenda. Both sides will actively implement the Memorandum of Understanding on Circular Economy cooperation and promote practical cooperation between industries. 双方认识到合作应对全球环境挑战，包括污染和海洋垃圾的重要性。双方将在阻止生物多样性丧失、《濒危野生动植物种国际贸易公约》（CITES）履约和执法、打击野生动植物和野生动植物产品非法贸易、森林可持续经营、打击木材非法采伐和相关贸易，以及荒漠化和土地退化等问题上深化合作。 Both sides recognise the importance of cooperation in addressing global environmental challenges, including pollution and marine litter. Both sides are willing to deepen cooperation on issues such as halting biodiversity loss, CITES implementation and enforcement, combating illegal trade in wildlife and wildlife products, sustainable forest management, combating illegal logging and associated trade, as well as desertification and land degradation. 双方期待2020年在昆明举办一届成功、具有里程碑意义的《生物多样性公约》缔约方大会。双方共同努力推动2020年在中国举办的缔约方大会上通过一个富有雄心、现实的2020年后全球生物多样性框架。 China and the EU look forward to a successful and landmark Conference of the Parties to the Convention on Biological Diversity in Kunming in 2020. Both sides will work together for an ambitious and realistic post-2020 global biodiversity framework at the Convention on Biological Diversity Conference of the Parties hosted by China in 2020. 双方还重申致力于有效落实海洋领域蓝色伙伴关系，包括合作促进可持续渔业发展以及打击非法、不报告和无管制的捕鱼，就包括通过设立南极海洋保护区在内的南极海洋生物资源的养护和可持续利用问题保持交流。双方赞同促进对海洋可持续投资的“可持续蓝色经济金融原则”。 China and the EU also reaffirm their commitment towards the effective implementation of the Blue Partnership for the Oceans, including cooperation on promoting sustainable fisheries and fighting illegal, unreported and unregulated fishing and exchanges on the conservation and sustainable use of Antarctic marine living resources, including by the establishment of marine protected areas in the Antarctic Ocean. The two sides endorsed the Sustainable Blue Economy Finance Principles promoting sustainable investment in the oceans. 双方欢迎举行中国－欧盟水政策对话机制第一次会议。 Both sides also welcome the first meeting of the China-EU Water Policy Dialogue. 17.双方将合作提高欧亚互联互通的经济、社会、财政、金融、环境的可持续性和兼容性。该合作应基于市场规则、透明、开放采购、公平竞争等原则，并遵循现有国际准则、标准和项目受益国的法律，同时要考虑受益国的政策和国别情况。 17. China and the EU will cooperate to improve the economic, social, fiscal, financial and environmental sustainability of Europe-Asia connectivity and interoperability. Such cooperation should abide by the shared principles of market rules, transparency, open procurement, a level playing field and fair competition, and comply with established international norms and standards, as well as the law of the countries benefitting from the projects, while taking into account their policies and individual situations. 双方将继续推动中国“一带一路”倡议和欧盟欧亚互联互通战略、泛欧交通运输网络对接，并欢迎在中欧互联互通平台签署中欧基于铁路的可持续通道联合研究框架协议。双方将在中欧互联互通平台框架下加强交流。 The two sides will continue to forge synergies between China's Belt and Road Initiative and the EU strategy on Connecting Europe and Asia as well as the EU Trans-European Transport Networks, and welcome the agreement, in the framework of the China-EU Connectivity Platform, on the terms of reference for the Joint Study on sustainable Railway-based Corridors between China and Europe. The two sides will enhance communication within the framework of the China-EU Connectivity Platform. 18.中国和欧盟重申愿通过加强对话合作，并根据国际法，为国际和平与稳定作出贡献。双方支持通过对话协商和平解决地区纠纷和冲突。 18. China and the EU reaffirm their intention to contribute jointly to international peace and stability through intensified dialogue and cooperation and in line with international law. They support the peaceful settlement of regional disputes and conflicts through dialogue and consultation. 关于伊朗核问题，双方认为伊朗核问题全面协议是全球核不扩散体系的关键一环，也是联合国安理会第2231号决议核可的一项重大外交成就，重申致力于持续、全面和有效落实该协议，并共同努力维护伊朗经济利益。双方忆及阿拉克重水堆改造项目的重要性和继续在这方面共同努力的必要性。国际原子能机构已经连续发布十四份报告确认伊朗履行了与核相关的承诺，双方对此表示欢迎。 On Iran, the two sides recalled that the Joint Comprehensive Plan of Action (JCPOA) is a key element of the global non-proliferation architecture and a significant diplomatic achievement endorsed unanimously by the UN Security Council in its Resolution 2231, and reaffirm their commitment to its continued, full and effective implementation, as well as their efforts to preserve economic benefits for Iran. China and the EU recall the importance of the Arak Modernisation Project, and the need to continue their common efforts in this regard. Both sides welcomed the fact that the IAEA has confirmed in 14 consecutive reports the continued adherence by Iran to its nuclear-related commitments. 双方支持朝美保持对话以实现和平解决方案，支持朝韩推进和解。双方强调了各方全面完整执行安理会相关决议的重要性。 China and the EU support the DPRK and the US in maintaining dialogue towards a peaceful solution, as well as the continued inter-Korean reconciliation. EU: Both sides underlined the importance of the full implementation of relevant UN Security Council resolutions by all parties. 19.双方致力于共同努力并密切协调阿富汗和平进程，该进程必须是全面、包容，“阿人主导、阿人所有”，并能够带来持久和平的政治进程。双方同意支持国际和地区为阿富汗稳定与安全作出的努力，以便在阿富汗问题和平解决之前、期间及之后，推动阿富汗的经济社会发展，加强区域经济互联互通。 19. China and the EU are committed to work together and co-ordinate closely on the evolving peace process in Afghanistan, which needs to be a comprehensive and inclusive Afghan-led and Afghan-owned political process that will lead to sustainable peace. Both sides also agree to support international and regional efforts towards stability and security in order to facilitate Afghanistan's economic and social development and greater regional economic connectivity before, during and after a peace settlement. 20.双方密切关注委内瑞拉不断演变的形势，愿同其他各方一道，推动由委内瑞拉人民决定的政治、和平和民主解决。 20. China and the EU are following closely the evolving situation in Venezuela and are willing to work with other parties on a political, peaceful and democratic solution, decided by the people of Venezuela. 21.中国、欧盟及其成员国是《联合国海洋法公约》的缔约方，尊重基于国际法的海洋秩序，维护各国依国际法享有的航行与飞越自由。欧盟欢迎中国和东盟国家为达成有效的“南海行为准则”（COC）进行的磋商。双方呼吁有关各方开展对话，和平解决争端，避免可能加剧紧张的行为。 21. China, the EU and its Member States are parties to the United Nations Convention on the Law of the Sea and respect the maritime order based on international law and uphold freedoms of navigation and overflight enjoyed by all states in accordance with international law. The EU welcomes the ongoing consultations between China and ASEAN countries aimed at the conclusion of an effective Code of Conduct (COC) for the South China Sea. 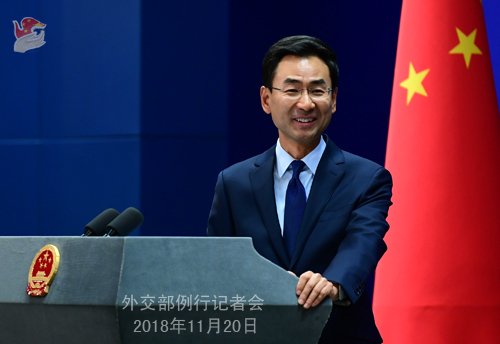 China and the EU call upon all relevant parties to engage in dialogue, to settle disputes peacefully, and to refrain from actions likely to increase tensions. 22.双方同意加强和平、安全和防务合作和高层交流，包括海上安全、打击海盗，支持非洲人以非洲方式解决非洲问题，以维护非洲和平与安全，支持就危机管理和联合国维和行动开展信息交流。 22. China and the EU agree to reinforce cooperation and high-level exchanges on peace, security and defense, including on maritime security and counter-piracy, support for African solutions to African problems to maintain the peace and security in Africa, and information exchange on crisis management and UN peacekeeping operations. 23.关于乌克兰问题，中国和欧盟忆及联合国安理会第2202号决议，呼吁全面落实明斯克协议。 23. Concerning Ukraine and recalling the UN Security Council Resolution 2202 (2015), China and the EU call for full implementation of the Minsk agreements. 24.双方还就缅甸问题交换了意见。 24. They also exchanged views on the situation in and around Myanmar.